A pamphlet is another name for a leaflet or flyer, or even a booklet that doesn’t have any binding. Like a flyer, a pamphlet can be just a single piece of paper, with a design printed on a single side or double-sided, or it can be folded in half or in thirds. 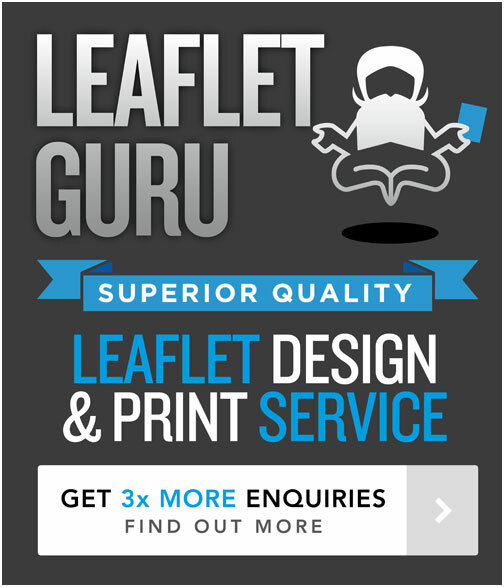 Typical pamphlet sizes are A4, A5 or A6 and these can be folded. Even in the digital age a pamphlet is a really effective way of promoting a business or service, and indeed because a lot of marketing tends to be done online these days – when you are given a pamphlet/leaflet/flyer in person, one lands through your letterbox, or you see one on display – the pamphlet design can really capture your attention and make you want to read it. If you haven’t read this blog, take the time to have a read of some posts which will share some design and print tips that will really help your pamphlet design stand out from the crowd. You will even find some of the best creative design samples to inspire your pamphlet design, and a few are below! Most people when referring to a pamphlet want a folded leaflet of some sort. In the example above – it’s an A4 piece of paper folded into thirds, which effectively gives you 6 pages and lots of room to promote your business or service. In this stylish pamphlet design example, it’s again A4 in total size, but is folded once to give four a5 size pages. In the design sample above you can see the front (A5) cover on the right and back cover on the left. Lastly, this pamphlet design is your typical flyer leaflet. Its A5 in size, and printed on both sides for maximum coverage. I’d always recommend printing on both sides as you get twice the area for not much more cost and also you get twice as many chances to capture someones attention!